For entertainment, Canadians look to newspapers. 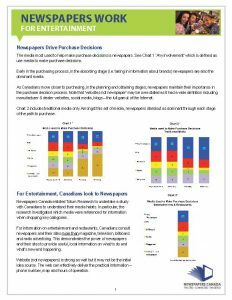 Newspapers Canada enlisted Totum Research to undertake a study with Canadians to understand their media habits. In particular, the research investigated which media were referenced for information when shopping key categories. 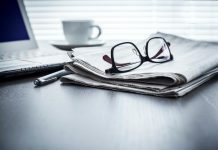 For information on entertainment and restaurants, Canadians consult newspapers and their sites more than magazine, television, billboard and radio advertising. 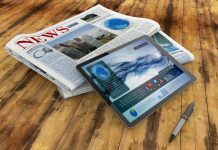 This demonstrates the power of newspapers and their sites to provide useful, local information on what to do and what’s new and happening.